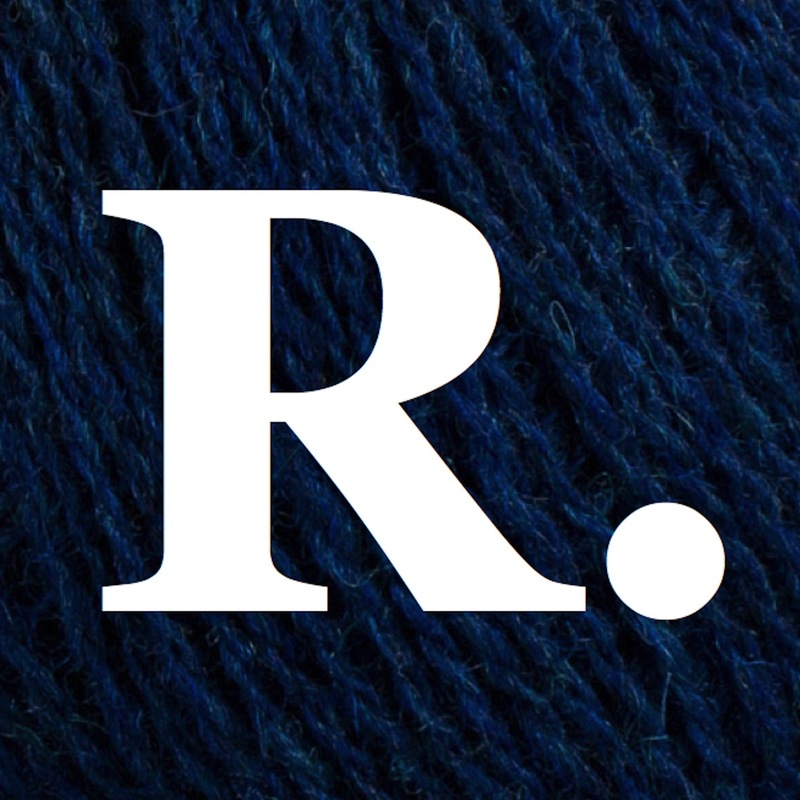 Compiled by your PRX Editorial team. Let us know about your election pieces. The election is over and, in case you missed it, Donald Trump won. Lisa Desjardins of the PBS NewsHour and Greg Giroux of Bloomberg explain what happened, how it happened, and what’s next. A more detailed conversation with Neal Conan follows which, before the edits, was mostly he and Ken saying “wow” to each other over and over. Finally, with so many people unnerved by the election results, we chat with Sue Elias, a New York therapist, who has advice for those who still can’t believe what happened in Tuesday’s election. The election is over and, in case you missed it, Donald Trump won. Lisa Desjardins of the PBS NewsHour and Greg Giroux of Bloomberg explain what happened, how it happened, and what’s next. A more detailed conversation with Neal Conan follows which, before the edits, was mostly he and Ken saying “wow” to each other over and over. Finally, with so many people unnerved by the election results, we chat with Sue Elias, a New York therapist, who has advice for those who still can’t believe what happened in Tuesday’s election. Need relief from all the juvenile antics of campaign season? "MORTIFIED'S TOTALLY JUVENILE ELECTION SPECIAL" is your antidote to the political tantrums featuring stories of the strange campaigns we waged as kids. Join the makers of "THE MORTIFIED PODCAST"-- along with their special guest, NPR White House correspondent TAMARA KEITH-- for this offbeat, hour-long celebration of the politics of adolescence (and the adolescence of politics). ADDITIONAL INFORMATION: Mortified is an international storytelling project where adults share their emabrrassing childhood writings--old diaries, letters, poems and beyond-- in front of total strangers. The project celebrates its 15th anniversary in Fall 2016. Hosted by Mortified founder, David Nadelberg, the hour-long radio special features storytellers recorded at Mortified events in Oregon, California, Maryland, New York, Ireland. Mortified is a familiar presence on public radio with appearances on This American Life, All Things Considered, Morning Edition, Talk of the Nation, The Business, Take Two, KCRW Guest DJ Project, Kojo Nnmandi Show, Here & Now, and more. Known for its raw, emotional brand of humor, Mortified creates live events, podcasts, film, TV projects, animated shorts, books, workshops, and even an adult summer camp. Discover the world of Mortified at: getmortified.com. After a year-and-a-half of heated primary battles, fierce debates and explosive rhetoric, the historic presidential election of 2016 is finally coming to a close. Join Political Junkie Ken Rudin and an all-star panel of political reporters, analysts and special guests for a full hour of analysis of the final days of the presidential campaign. Plus, Ken and his guests cover the key Senate and gubernatorial races of interest from across the country. After a year-and-a-half of heated primary battles, fierce debates and explosive rhetoric, the historic presidential election of 2016 is finally coming to a close. Join Political Junkie Ken Rudin and an all-star panel of political reporters, commentators and special guests for a full hour of analysis of the final days of the presidential campaign. Plus, Ken and his guests cover the key Senate and gubernatorial races of interest from across the country. Tune in to hear a broad range of perspectives on the election, and consider how the election results could affect the makeup of Congress, the Supreme Court, and the country over the next four years. And of course, you’ll enjoy a healthy dose of Ken’s punchy humor and insightful historical perspective. This special is a standalone program that is suitable for use at any time throughout the weekend preceding and up to Election Day. More information about this special is available on our website. This is the full audio from the 1969 Wellesley College commencement speech delivered by Hillary Rodham Clinton, then Hillary Rodham, the first ever student address at the school. It was an era of intense social change and activism, and in the speech 21-year old Clinton offers her views on empathy and protest, giving listeners a chance to hear the young student leader finding her public voice for the first time. Portraits of some of America’s most groundbreaking and unusual presidential candidates, who never won the white house. From Margaret Chase Smith to Shirley Chisholm… from William Jennings Bryan to Adlai Stevenson… some candidates make history, even when they lose. Contenders is presented by Radio Diaries and PRX. For more information visit www.radiodiaries.org. Many see similarities between the presidential election campaign of 2016 and one almost half a century later. The 1968 presidential campaign was one of the most dramatic and significant contests for the White House in the 20th century. It was a close, bitterly-fought campaign in a raucous, bloody year. Ultimately, the Democratic Party lost its decades-long grip on national power, making way for the rise of Republican conservatism that profoundly reshaped American public policy for the next 40 years. Many see similarities between the presidential election campaign of 2016 and one almost half a century earlier. When the United States was founded, only white male property-owners could vote in most states. Gradually, the franchise has expanded — but the debate continues to this day. In this fast-moving documentary by David Freudberg, we trace the fascinating twists and turns of a core American activity, with the nation's leading historian on this topic, Harvard's Alexander Keyssar. We hear the personal story of Univ. of Florida religion professor Gwendolyn Zoharah Simmons, who at age 19, against the wishes of her parents, participated in the 1964 Mississippi Freedom Summer Project for voter registration, when three young civil rights workers were murdered. Also, historian Faye Dudden recounts highlights of the women's suffrage movement. In addition, long-time Washington Post executive editor Leonard Downie Jr. reviews the scant evidence of voter impersonation (a flashpoint in the controversy over whether voter IDs should be required — the subject of a flurry of recent court rulings). Also weighing in on voter IDs are former Secretary of State Colin Powell; Governor Pat McCrory (R-N.C.); Myrna Perez of NYU's Brennan Center for Justice; and former Justice Department voting rights legal expert, Gerald Hebert. And we listen to the story of a convicted felon in Florida, seeing his right to vote. 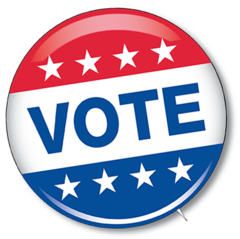 The Right to Vote is relevant anytime, and especially in this federal election year. On this edition of Peace Talks Radio, three guests who’ll touch on just a few of the many reasons political polarization continues in the U.S. Each have a few ideas and programs that could close the gap, even a little bit. Ideas that you could try that just might lessen political polarization at your dinner table, in your neighborhood, your state, and around the country. This isn't a program about the current electoral races. Rather, it looks at a few of the possible causes of and solutions to political polarization. Statistics show that polarization of liberals and conservatives is on the rise in the US. How come? This program doesn't have time to review all of the possible causes including money, media, and isolationism. But, we will explore some ideas such as biological disgust, voting issues, and collaborative conversations. We focus on solutions that individuals and groups can take to lessen political polarization at the dinner table, in your neighborhood, and around the country. manage the civilpolitics.org website, and first Rob Karwath with the "Speak Your Peace" program in Duluth, Minnesota. This isn't a program about the current electoral races. Rather, it looks at a few of the possible causes and solutions of political polarization. Statistics show that polarization of liberals and conservatives is on the rise in the US. How come? This program doesn't have time to review all of the possible causes including money, media, and isolationism. But, we will explore some ideas such as biological disgust, voting issues, and collaborative conversations. We focus on solutions that individuals and groups can take to lessen political polarization at the dinner table, in your neighborhood, and around the country. The right to vote in the US is one of its most cherished and hard-fought rights. But not everyone has equal access to the polls. In this Immigrants & Elections show, we explore barriers to voting for immigrants and historically disenfranchised voters. Begin Date 10/26/16. End date 04/26/17. Please call us if you carry us - 510-251-1332 and we will list your station on our website. If you excerpt, please credit early and often. Ken Rudin’s Political Junkie brings a fresh take to political conversation -- featuring energetic discussions, rich historical context, and plenty of bad jokes. Political Junkie's Minisodes offer a timely and informative discussion of a top political story each week. Donald Trump has finally decided on a nominee for secretary of state, but it turns out that this may be the most controversial Cabinet appointee of all. Carl Hulse of the New York Times reviews Rex Tillerson's relationships with Vladimir Putin and Russia and speculates on what could be a difficult confirmation hearing. 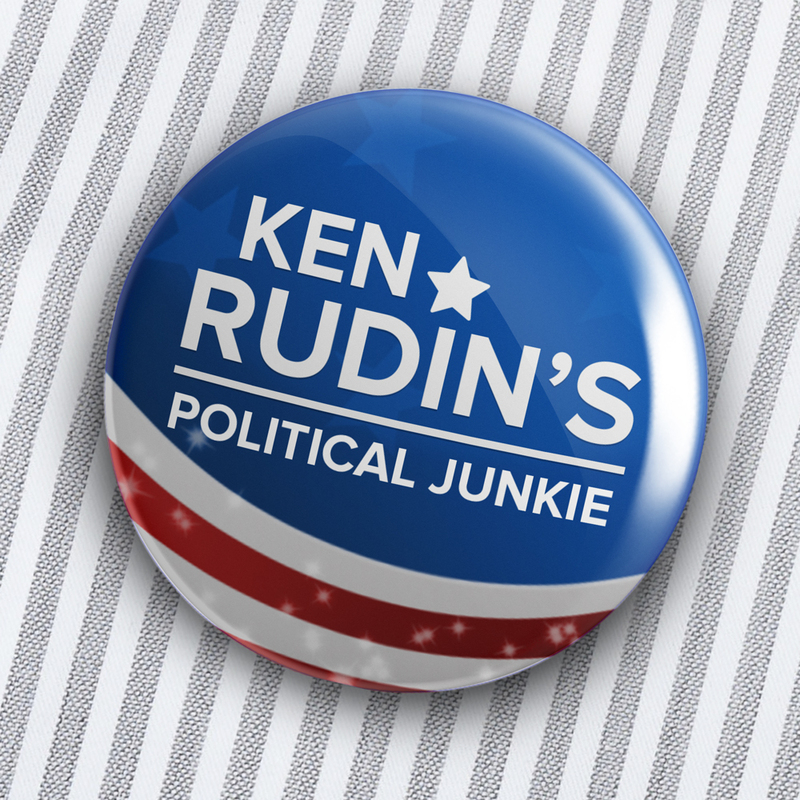 Ken Rudin’s Political Junkie brings a fresh take to political conversation — featuring energetic discussions, rich historical context, and plenty of bad jokes. Host Ken Rudin brings his years of experience on the campaign trail to the fore as he highlights notable moments in political history, and looks ahead to the biggest stories on the national scene. President Trump's attacks on Minnesota Congresswoman Ilhan Omar is part of a familiar tactic of singling out a woman of color, a Muslim no less, for words or actions that the president finds objectionable ... a tactic that he has been using since 2015, one that helps him with his base. But by being a controversial figure in her own right, Omar has become a lightning rod among some Democrats as well. Kevin den Dulk of Calvin College explores American views of Islam, from 9/11 to the current day. Only recently it was Beto O'Rourke. Now the Flavor of the Month seems to be Pete Buttigieg, the 37-year old mayor of South Bend who is running for president and has been appearing on every TV show in sight. Dave Weigel of the Washington Post tries to explain the Pete Phenomenon and why the media seem to have fallen head over heels for him. And Ed Kilgore of New York Magazine offers a list of the Top 10 Worst Presidential Primary Campaigns in recent memory -- a perfect exercise for political junkies. Join Political Junkie Ken Rudin on a journey through political history as we revisit memorable and historic moments from national party conventions of the past, and consider how the role of conventions in the presidential race has evolved from then to today. In recent years, the national party conventions may have seemed like infomercials for the parties’ respective presidential nominees, but many conventions of the past have been filled with moments that were contentious, memorable, and historic: The Southern walkout in protest of Hubert Humphrey’s pro-civil rights speech in 1948. Geraldine Ferraro becoming the first woman on a major-party ticket in 1984. Everett Dirksen singling out Thomas Dewey for his past failures in 1952. And of course, the utter mayhem in Chicago in 1968. Additional information about this special is available on our website. Donald Trump is just the latest in a long line of purveyors of fear to rise in American politics. He has reached the top trading on what Richard Hofstadter titel "The Paranoid Style in American Politics." I this documentary, Michael Goldfarb interviews leading historians to tell the story of the "paranoid style." He also interviews early Trump supporters. It’s true, of course—but the rise of Trump reminds us that American politics lost their humble, aldermanic relationship with a simple “real world” a long way back. Obama’s own victory was telegraphed and televised—the dignified, better-than-human First Black Presidentgot screen-tested more than once in Morgan Freeman and Dennis Haysbert. And a Brooklyn-ready media rollout teased an age of “hope” and “change” that the candidate was unable fully to bring about. 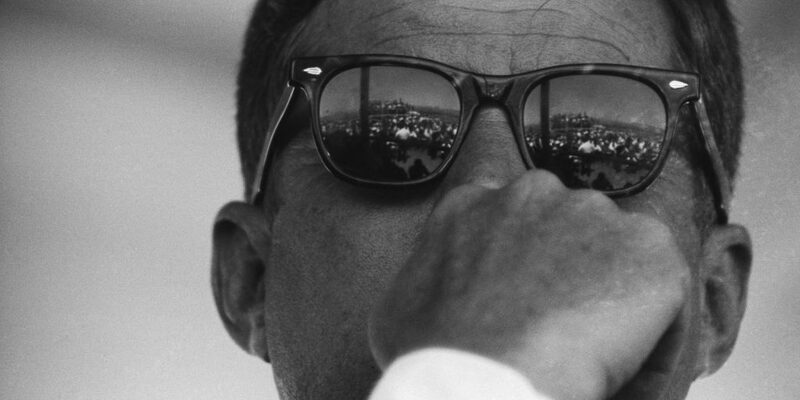 this candidate for all his record; his good, sound, conventional liberal record has a patina of that other life, the second American life, the long electric night with the fires of neon leading down the highway to the murmur of jazz. Trump may be imperial in that same sense, if Matt Lauer’s botched tackle of the two presidential candidates is anything to go by. 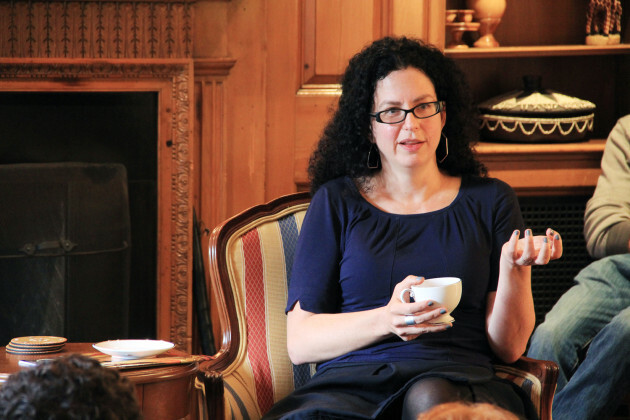 For more on the realm of unreality we’re in, we turn to Veep‘s Frank Rich, and The New Yorker’s Emily Nussbaum (above), if the age of mass-media politics that began with the glow of Kennedy is ending with the groan of Trump—himself made-for-TV. His unpredictability, his familiar pout, his Lorax coloring and proportions are keeping him in a race and a conversation he might have lost, on the merits, long ago. To millions of Americans, Trump has some real effects; he represents hope—maybe for boardroom efficiency or a frank simplification of political questions—or a change in atmosphere, away from managed expectations and polite coastal contempt. His may be a dark fantasy, but he sees that politicians, like TV personae real and semi-real, are in the business of fantasy, and that the “show horse” part of the job can’t be so easily shrugged off. How do we talk about political reality from so deep inside the world of the reality show? Media coverage of Donald Trump is incessant, but misses a seemingly critical question: why do Trump supporters defect? Alex Mamach was a staunch Trump supporter, and made a surprising switch from Donald Trump to Hillary Clinton. His story sheds light on why millions of Americans support Trump, and what might move them in a different direction. Alex Mamach is a young white Chicago native who grew up in a poor and diverse suburb of Chicago. He was a staunch supporter of Republican presidential candidate Donald Trump, but made a surprising switch to Hillary Clinton as part of a broader worldview transformation from focusing on his own self-interest to caring about the collective interest. His story sheds light on why millions of Americans are voting for Trump in the presidential election, and what might move them in a different direction. Our media landscape is saturated with Trump, yet this piece probes a critical question that has gained surprisingly little coverage: why do Trump supporters defect? 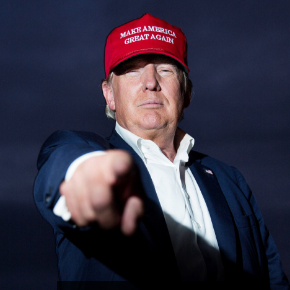 The result is a refreshingly hopeful and illuminating story about the Donald. 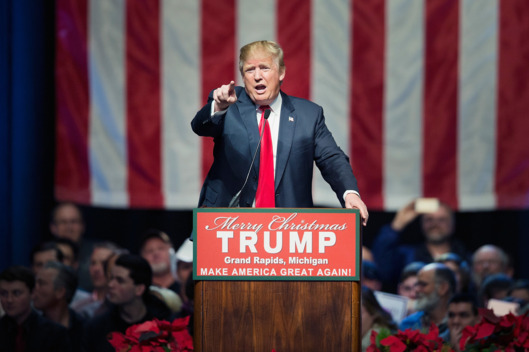 How does a media establishment cover an anti-establishment revolt? Has the frenzy diverted American journalism from its fourth-estate duty: of holding candidates accountable? This spring and summer, millions of Americans will go to the polls and vote. For most of us, our political participation begins and ends at the ballot box. The rest is mediated: through a mix of respectable newspapers and radio firebrands, punditry, hearsay, and Tweets. The play of politics came with a set of old-saw formulas. The respectable candidates ended up winning. Ad spending buys votes. Gaffes are costly. And the party decides. None of that has proven true this unconventional year. So maybe it’s no surprise that the big papers and networks seem to have first missed, then dismissed, then discouraged the popular movements behind Donald Trump and Bernie Sanders. This exciting, profane, profound election has served as chum on the water for a media industry that was already agitated by the Internet, “disintermediation,” and vanishing income. But has the frenzy diverted American journalism from its fourth-estate duty: of holding candidates accountable? Giving voice to the voiceless? Referring readers to history and policy? Staying straight and honest with the citizenry? Or is that all 20th-century nostalgia? Some of our guests, and most of our Twitter followers, feel that the big story this year was of a confrontation between a dissatisfied people and an establishment — that goes for the media, too. The big papers and networks seemed to have first missed, then dismissed, then discouraged the popular movements behind Bernie Sanders and Donald Trump. But that’s just the beginning — there were lots of weird media stories on the trail this year. Join Political Junkie Ken Rudin for a review of many great moments from the history of televised presidential debates, with commentary from several journalists and historians on how those moments may have helped pave the way for the winner to reach the White House. As Bernie Sanders’ political campaign continues across the country, Vermont Public Radio examines the rise and record of the Democratic presidential candidate in an hour-long news program. 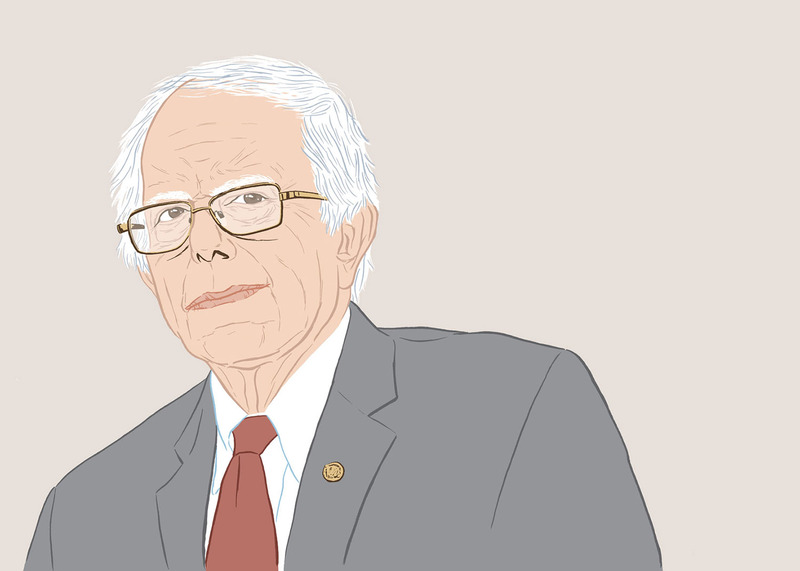 In 'Becoming Bernie', VPR News explores the forces that shaped the life and politics of the self-described democratic-socialist, from his early days in Brooklyn through his candidacy announcement in Burlington, Vermont in 2015. 'Becoming Bernie' revisits the slim victory that installed Sanders as the mayor of Vermont’s largest city and assesses his years in the job. The program considers Sanders’ tenure in the U.S. House and Senate, and his record in Washington. It also examines the line he has walked to balance his Independent status and his relationships with progressives, Democrats and socialists. 'Becoming Bernie' is hosted by VPR’s Jane Lindholm and Alex Keefe, and reported by VPR News staff. The program is produced by Special Projects Producer Lynne McCrea. The project includes extensive digital features including archive and original photos, video, bonus audio and expanded reporting. The web feature also includes full text translations in French and Spanish. Stations interested in featuring the project online can contact Angela Evancie at aevancie@vpr.net.